Jwarichi bhakri recipe - Today I am sharing an easy version of making jwarichi bhakri recipe of Maharashtra. This bhakri is similar to bajre ki roti which I have posted earlier. 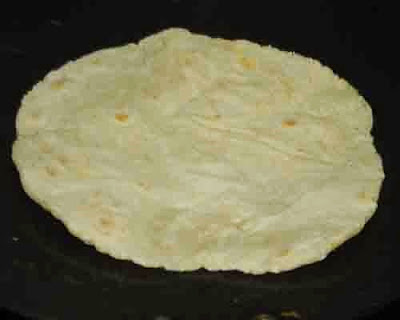 This quick to prepare roti is made by adding the flour to boiling water and then knead to a soft dough which is very easy to roll as roti. 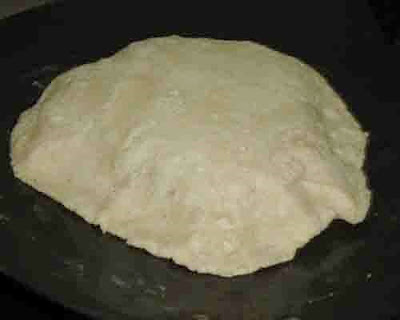 Making bhakri by kneading the dough in cold water and then flattening it from the hand is time consuming and messy. This method saves time and the preparation is an enjoyable task. 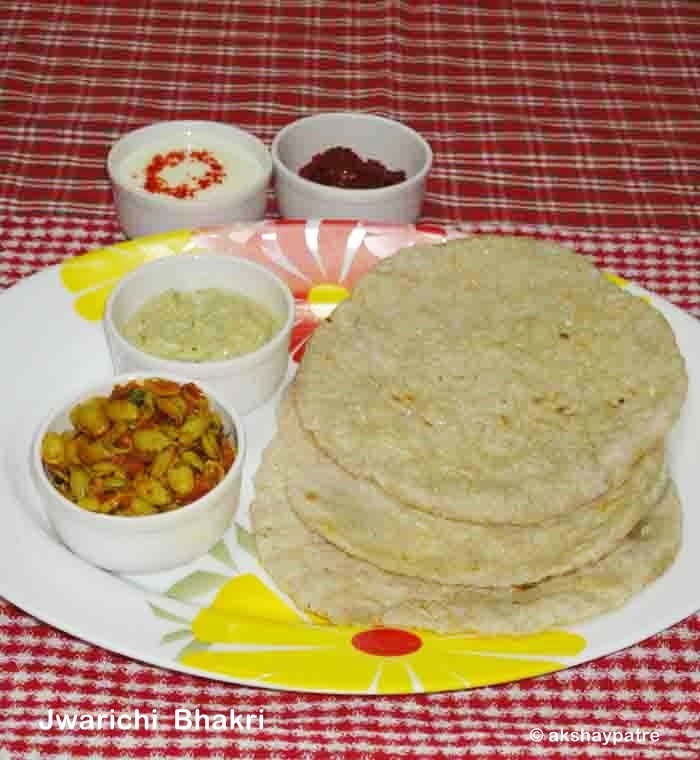 Jwarichi bhakri goes well with zunka, vangi bharta, bharli vangi, usals, spicy sabzis, yogurt chutneys and pickles. I make roti often for dinner, hot roti is a healthy and guilt free dish to serve and in comparison it is a low carb flatbread. 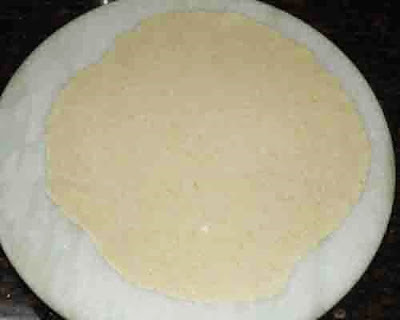 This is called as jolada rotti in Kannada and is a popular flatbread of North Karnataka. Try and enjoy the bhakri by following this easy method and serve the dish to your family. Healthy and guilt free jwaricihi bhakri or flatbread prepared with sorghum flour which can be served for lunch and dinner. Pour 2½ cups of water in a pan, add salt and mix with a spoon. Bring it to boil on high flame. Reduce the flame to low and add the sorghum flour and cook stirring continuously till the flour turns into a lump. It may take hardly 2 minutes. Switch off the flame and keep covered till the dough become warm. When the dough is warm, transfer it on a rolling board and knead it for 7-8 minutes to make it smooth. 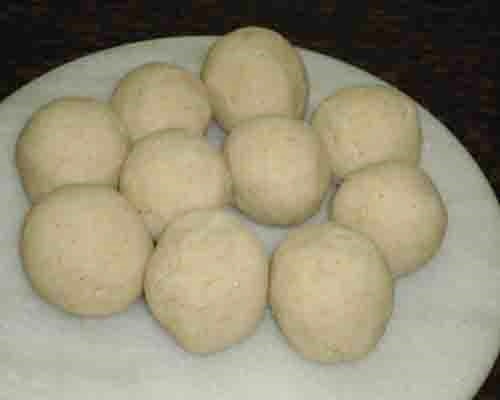 Then divide the dough into 10 equal portions and roll it to round balls. Then roll the balls in sorghum flour and place it on a rolling board. Roll it to a round roti with a rolling pin. Dust the rolling board with flour if required. Heat a griddle on high flame and place the bhakri on it. Apply some cold water on the surface of the bhakri and cook until water dries up. Then flip it and cook till light brown spot appears from both sides. 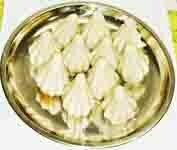 Transfer the bhakri to a serving plate. Apply 1/4 tsp ghee or butter on each bhakri. 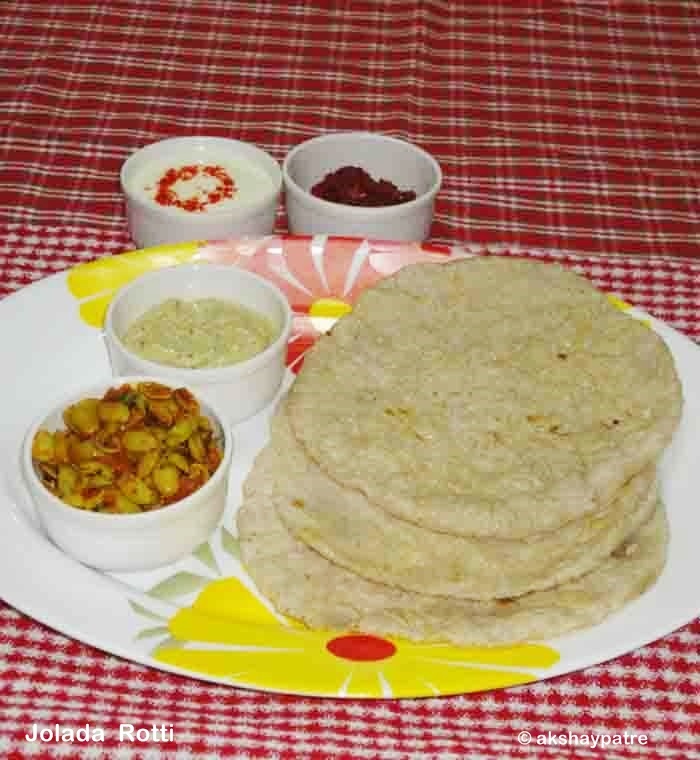 Serve jwarichi bhakri hot with zunka, vangi bharta, bharli vangi, usal, sabzi, chutney, raita, pickle, chutney powder and yogurt. 1. Pour 2½ cups of water in a pan, add salt and mix with a spoon. Bring it to boil on high flame. 2. 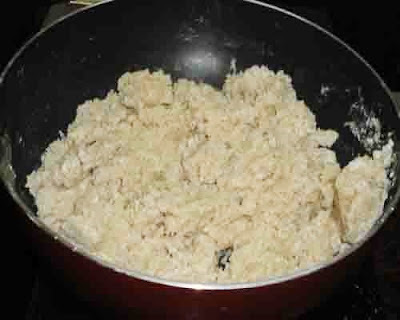 Reduce the flame to low and add the sorghum flour and cook stirring continuously till the flour turns into a lump. It may take hardly 2 minutes. 3. Switch off the flame and keep covered till the dough become warm. 4. When the dough is warm, transfer it on a rolling board and knead it for 7-8 minutes to make it smooth. 5. 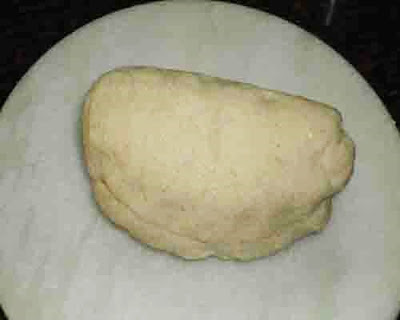 Then divide the dough into 10 equal portions and roll it to round balls. 6. Then roll the balls in sorghum flour and place it on a rolling board. Roll it to a round roti with a rolling pin. Dust the rolling board with flour if required. 8. Heat a griddle on high flame and place the bhakri on it. Apply some cold water on the surface of the bhakri and cook until water dries up. 9. Then flip it and cook till light brown spot appears from both sides. Transfer the bhakri to a serving plate. 10. Apply 1/4 tsp ghee or butter on each bhakri. Serve jwarichi bhakri hot with zunka, vangi bharta, bharli vangi, usal, sabzi, chutney, raita, pickle, chutney powder and yogurt.